At Marina Landing Dentistry, in Alameda, California, we offer high quality family dental care in a relaxed setting. We firmly believe that dental office visits do not need to be the dreaded experience they once were. Our state of the art, conservative and minimally invasive techniques allow us to manage pain, enable quick healing and ensure healthy teeth and gums for the longest possible time. We invite you to give us an opportunity to serve you. You can be assured of our full dedication to your oral health. We are confident that your visit will end with a world-class smile. After graduating with a Doctorate of Dental Surgery from the University of California. San Francisco, Dr. Dharia has been providing excellent dental care to Bay Area families for more than 15 years. From Livermore to San Francisco, thousands of patients place their trust in Dr. Dharia and consider her a life long partner in their health. As an empathetic, modern dentist, she tailors her services to her patients’ needs while serving as an advisor and advocate for aptient’s teeth, gums, and smile. Not being a big fan of pain herself, she strives to minimize pain and anxiety traditionally associated with dental procedures. She aggressively pursues the latest techniques to alleviate pain, improve and preserve oral health, reduce discomfort, and minimize waiting time. Dr. Dharia believes that the smile is a crucial part of our personality and truly loves working with patients to make sure that their smiles are not only aesthetically appealing but healthy as well. Patient, warm, and extensively trained, she has many years of experience working with all aspects of dentistry, especially issues which are specific to children and seniors. She holds extended conversations with patients about everything under the sun and is a great listener. In her free time, she enjoys travel, spending time with family, cooking, and classical Indian dance. The most nurturing experience ever thank you for your generous time and impeccable attention. I'm really enjoying my trip's to Marina Landing Family Dentistry. ... I look forward to having the rest of my dental work done with Asmita Dharia D.D.S. In the event that a patient is experiencing a dental emergency such as severe pain and swelling or a broken tooth, Dr. Dharia can be reached 7 days a week until 9 p.m and through our answering service 24 hours a day. In most cases, Dr. Dharia's office is available for an appointment within 24 hours of an emergency. At Marina Landing Dentistry, we know that your time is valuable. That’s why we offer a simplified office experience with online patient forms that you can complete prior to your appointment. You’ll spend less time in the waiting area, streamlining your initial visit. These forms help us better understand your dental background, allowing us to provide you with the most effective care possible. 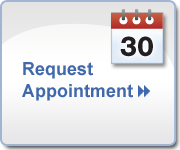 As always, please do not hesitate to contact us if you have any questions about patient forms or your appointment. © 2017 Marina Landing Dentistry. All Rights Reserved.